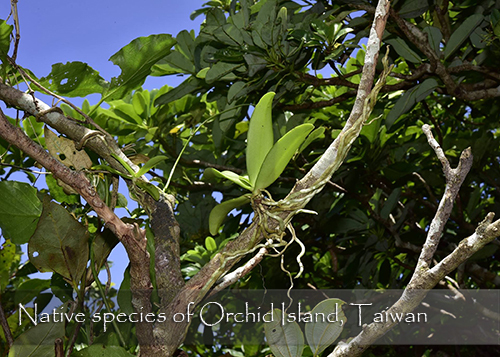 Native to the Orchid Island of Taiwan, Tuberolabium kotoense is found in nature growing on the trunks of ficus trees in montane forests! 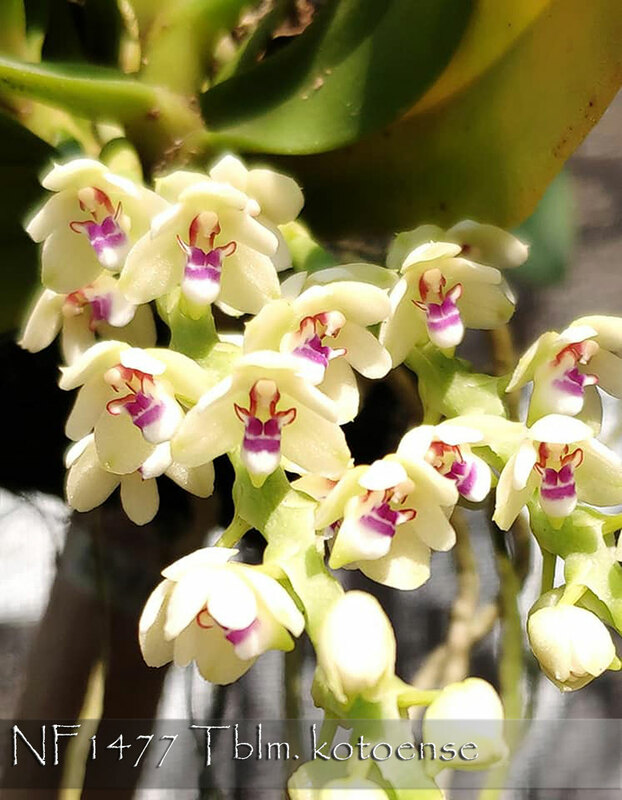 A great little miniature member of the Vandaceous alliance, it’s easily grown and flowered under typical Phalaenopsis conditions. 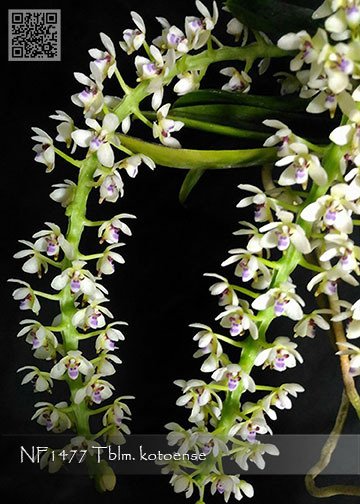 Blooming any time from fall into spring, its long inflorescences can produce multitudes of adorable waxy coconut-fragranced white flowers, accented with purple blotches in the lips, the inflorescences gracefully cascading from its small fleshy 4” leaves. 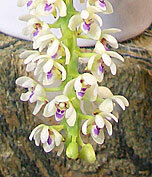 It thrives under semi-shaded conditions with high humidity and hot to warm temperatures and can also be grown mounted for the best flowering display. A Highly Recommended and easy-to-grow miniature! 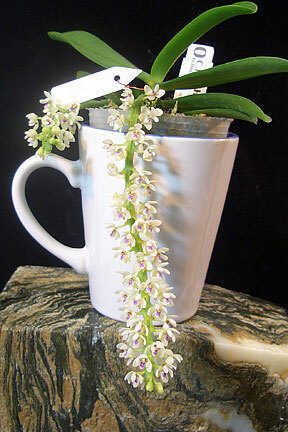 , Note: Fragrant , Miniature grower !